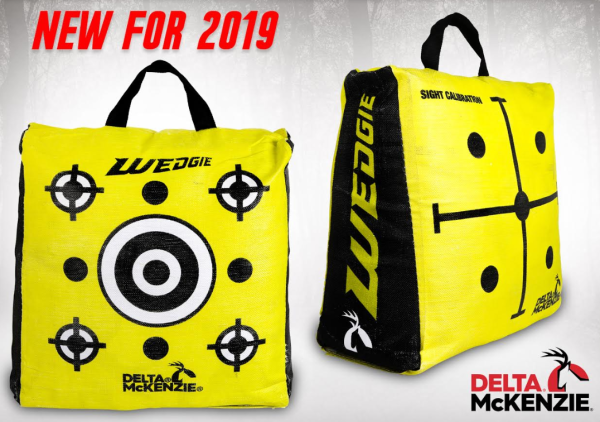 Delta McKenzie’s Wedgie Bag Target is now available in a convenient, portable 20-inch model. The tapered design allows the target to be free-standing with increased stability for arrow impact, even on uneven surfaces. The high contrast graphics features nine shooting spots on one side with sight-calibration crosshairs on the other. Shooters love the easy one-handed arrow removal Wedgie offers. Size: 20”H x 20”W tapers to 10-inch depth at base of target.